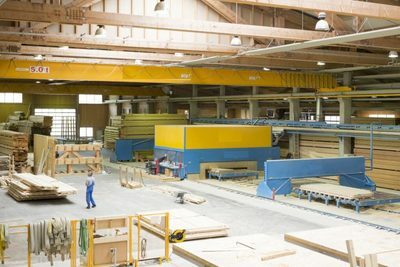 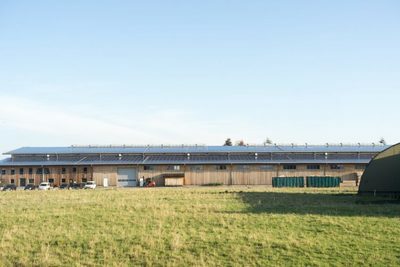 Manufacturing - Holz100 Canada Inc.
Europe's largest moon wood sawmill, to the self-sufficient Holz100 plants, which are only operated with solar power. 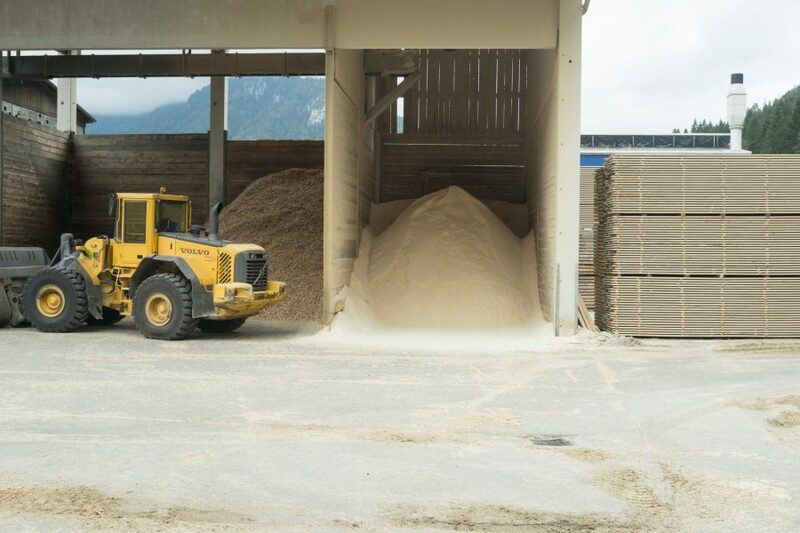 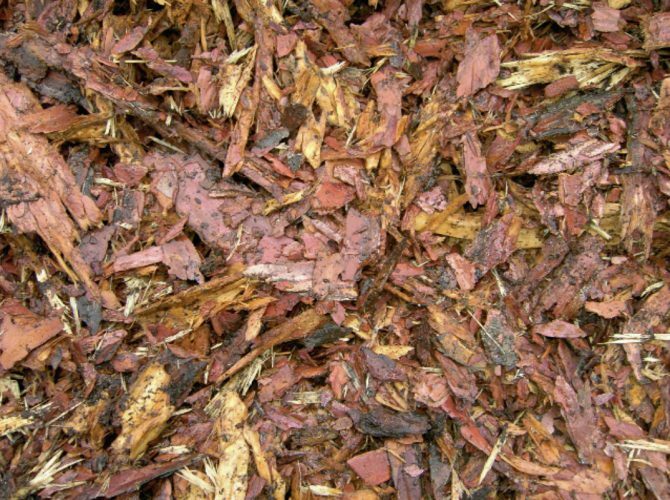 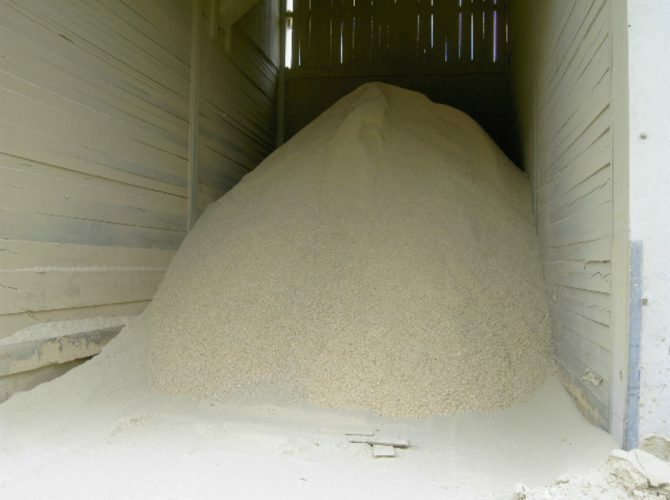 The company Thoma has the entire raw material chain of their products in their own hands and can guarantee an environmentally friendly production. 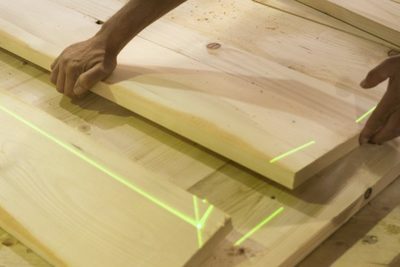 Here old traditions, tree and woodwork secrets flow together with applied, modern research and new technologies. 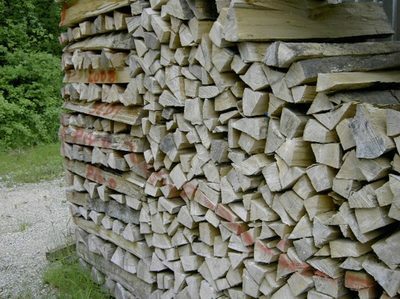 Pause for a moment to feel the vitality and quality of the wood in our forests. ​From the grandfather's old knowledge of the tree to the scientific spruce study, everything comes together here. 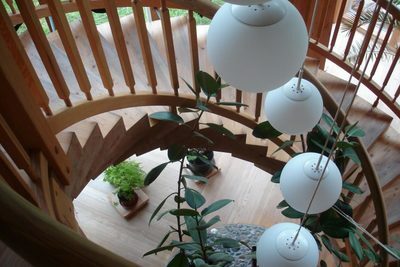 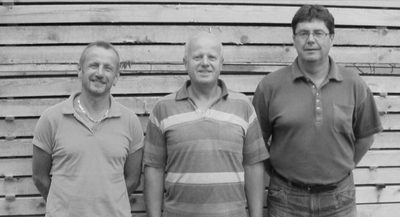 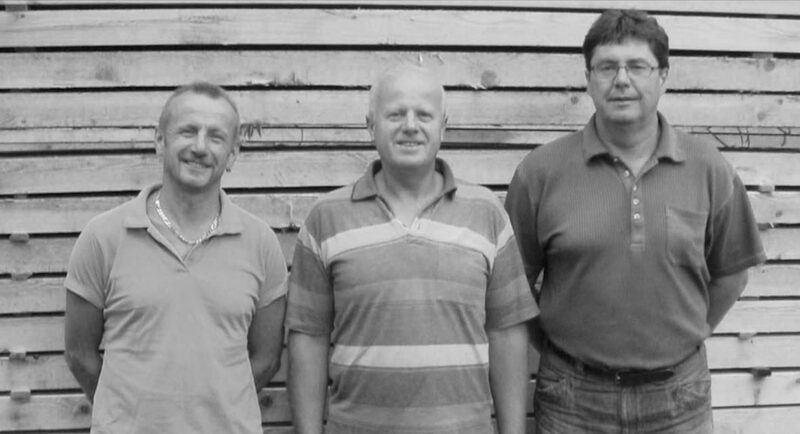 The aim of the research is to make people aware of what pure natural wood can do. 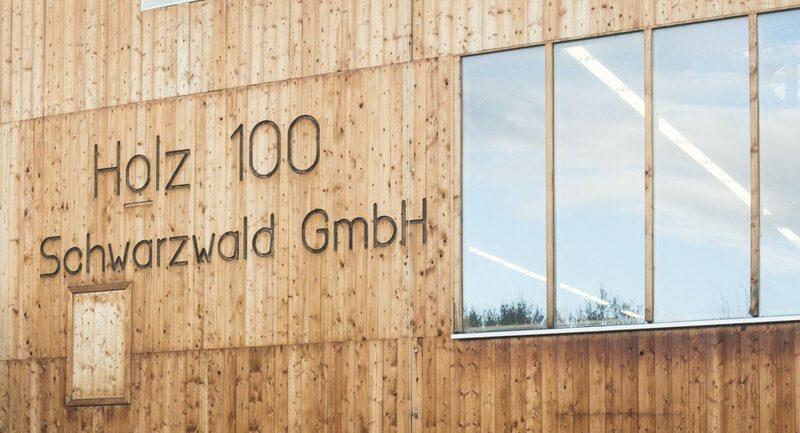 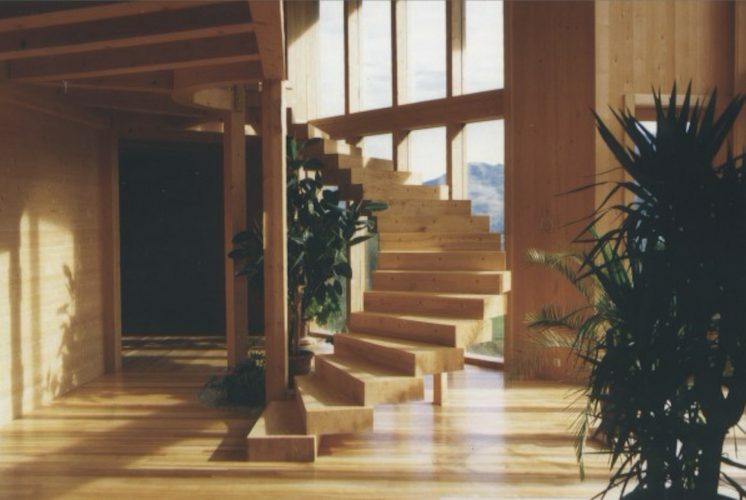 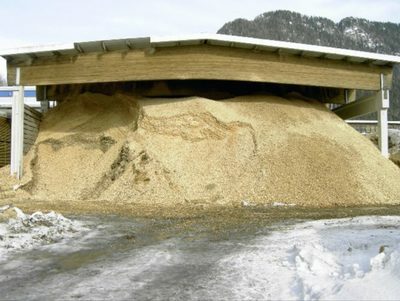 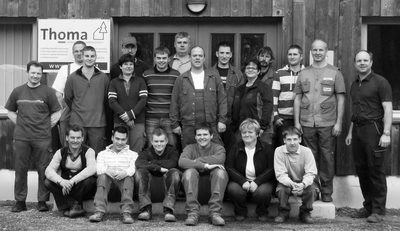 Holz100 Schwarzwald GmbH is the Thoma location in Germany. 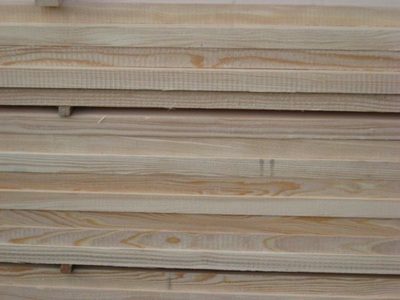 From here, mainly the northern German region, as well as Switzerland and the Benelux countries are supplied with Holz100 components. 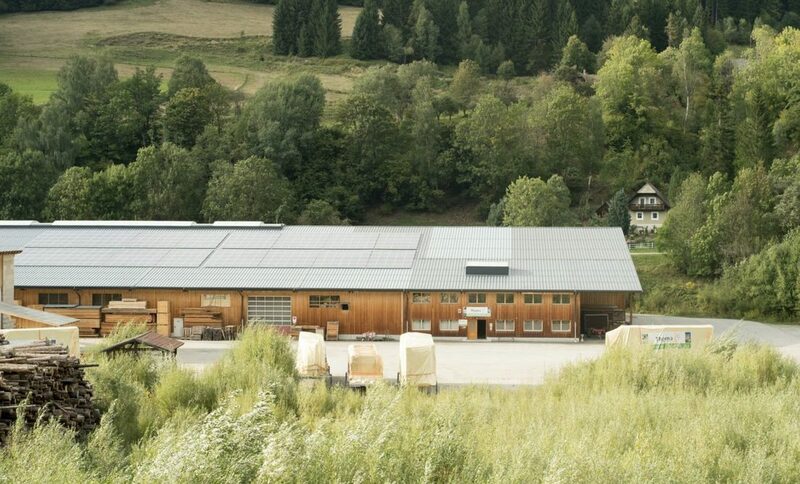 ​Our factory in the Black Forest proves that factories can be operated with energy self-sufficiency. 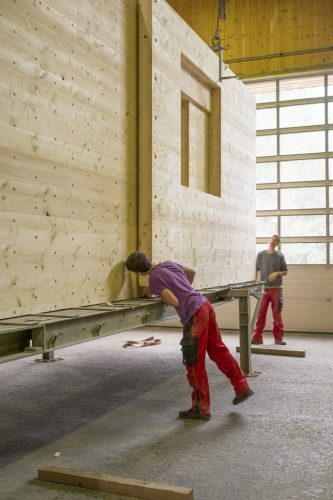 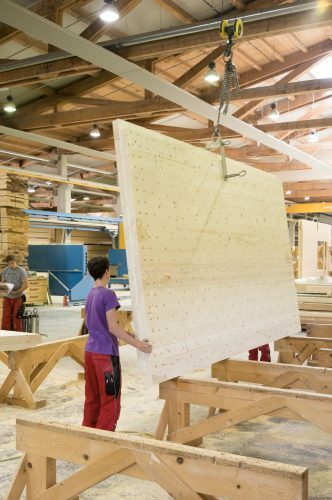 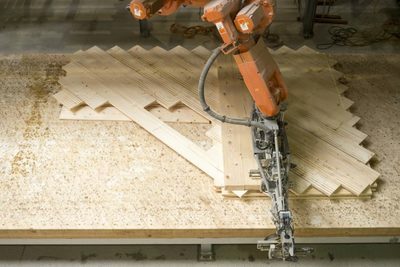 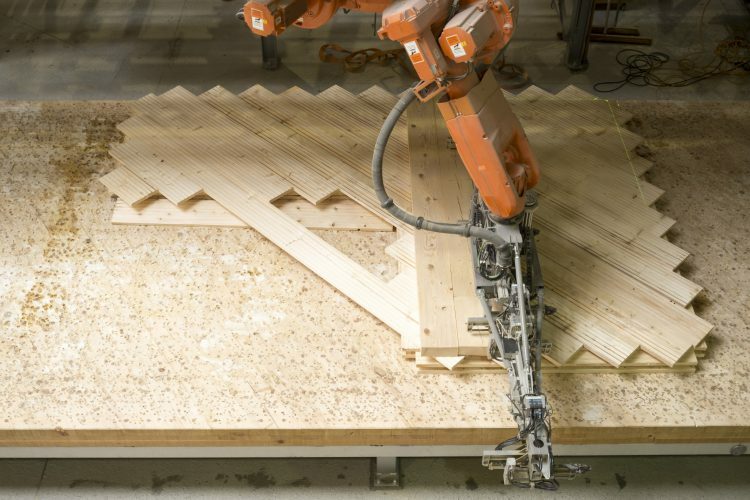 The Holz100 plant in the Black Forest produces 100-200 houses per year and draws its electricity from its own roof. 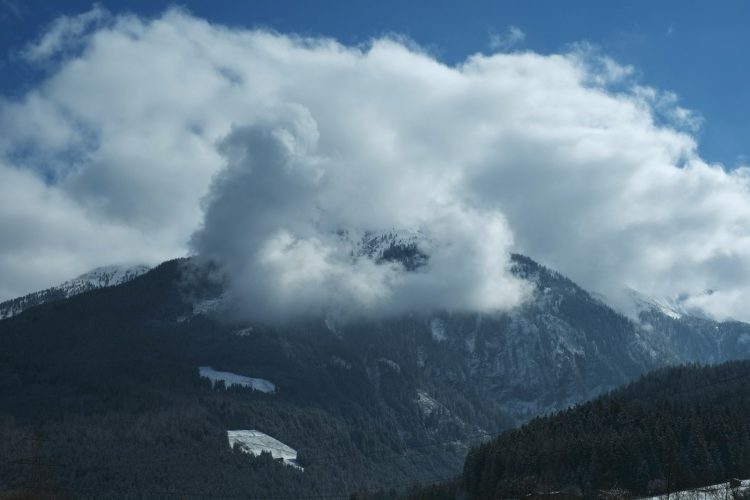 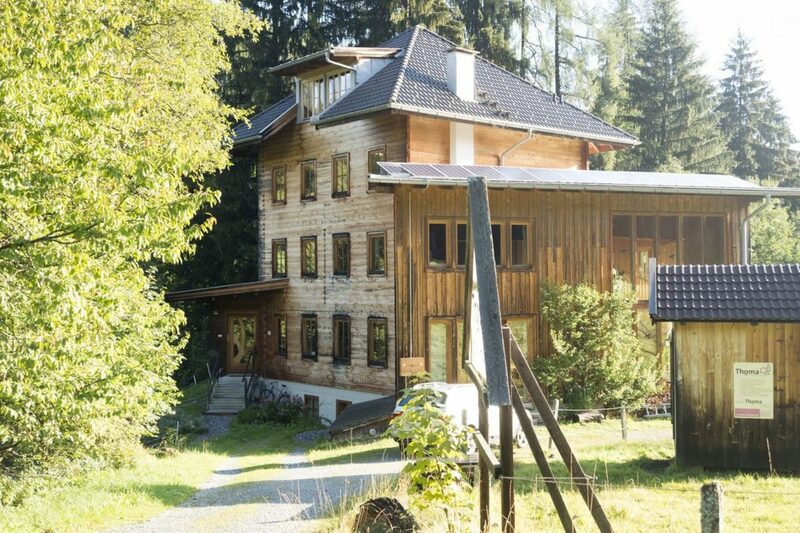 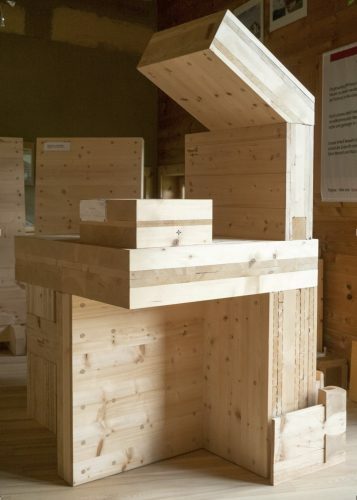 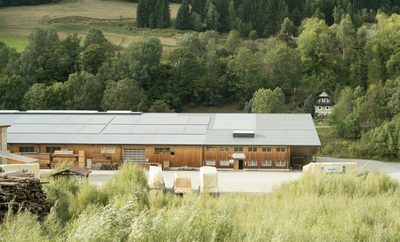 Our planing mill is located in the high mountain region below the Großvenedigers im Pinzgau. 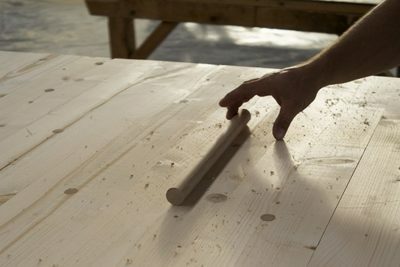 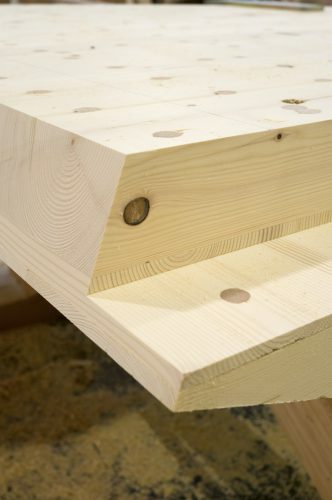 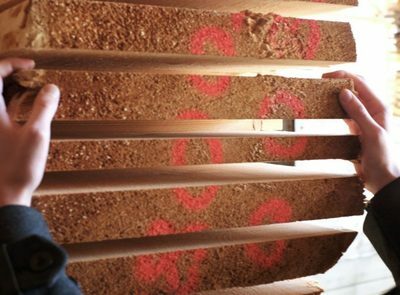 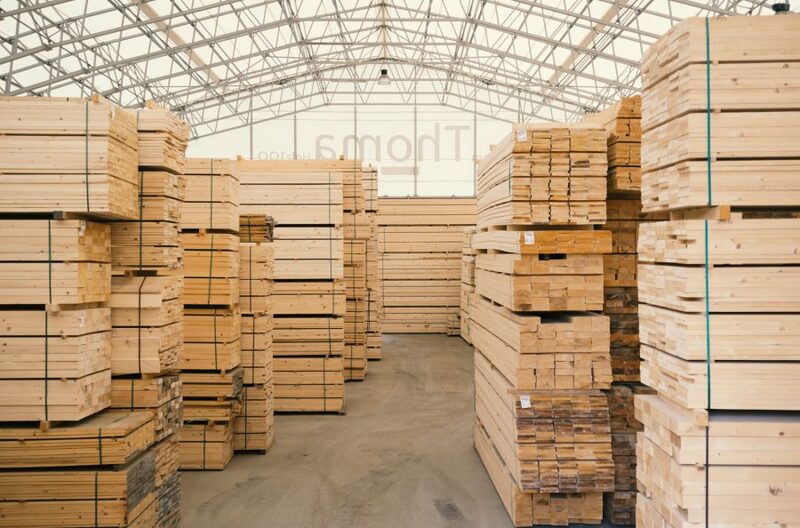 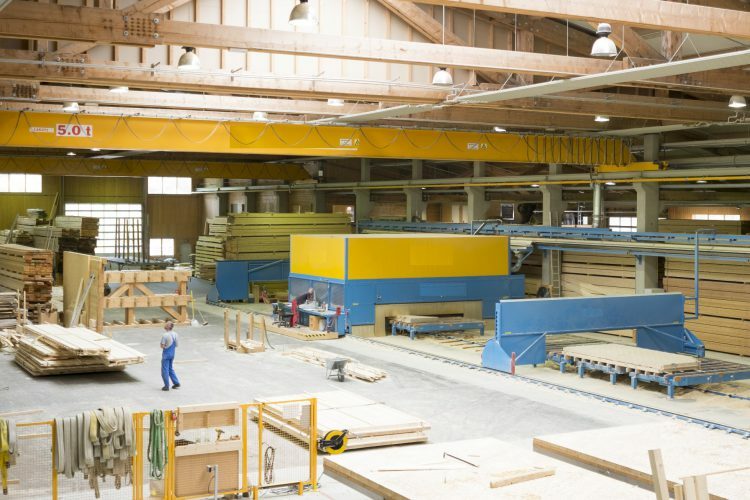 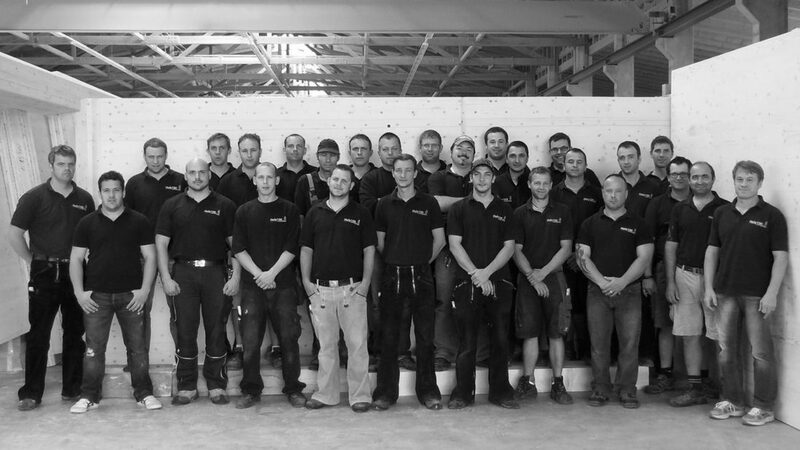 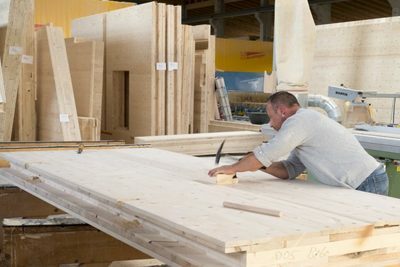 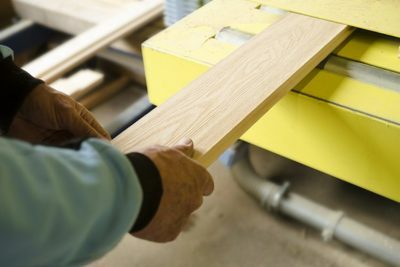 Here we store and process floors, formwork and carpentry exclusively from wood at the right time. 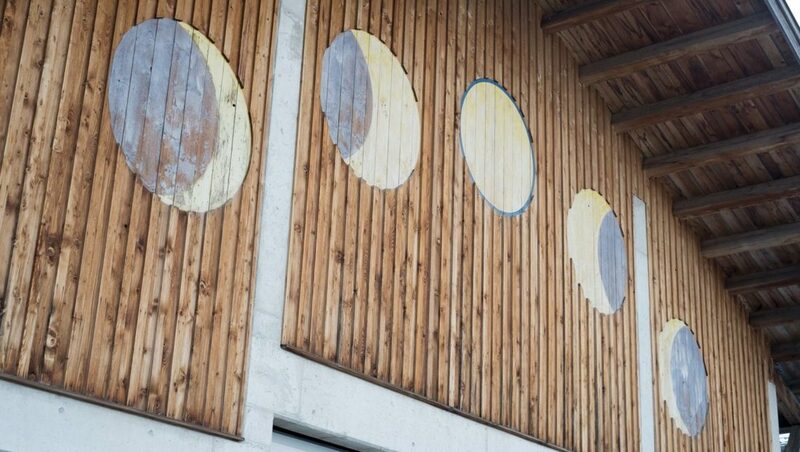 ​The moon on the facade already indicates it. 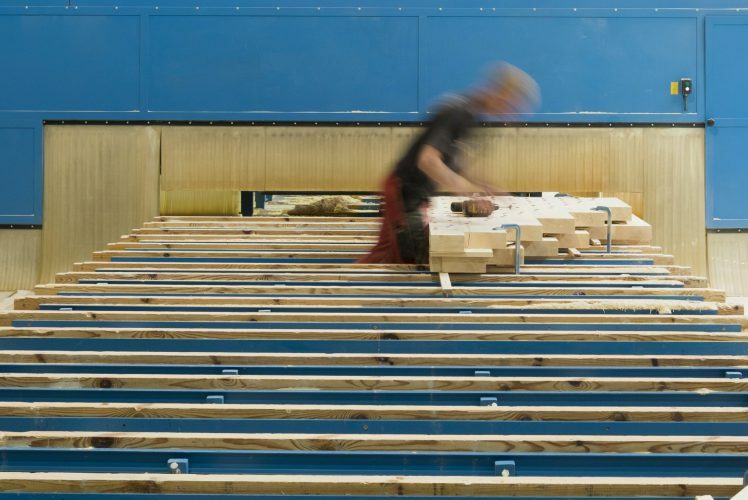 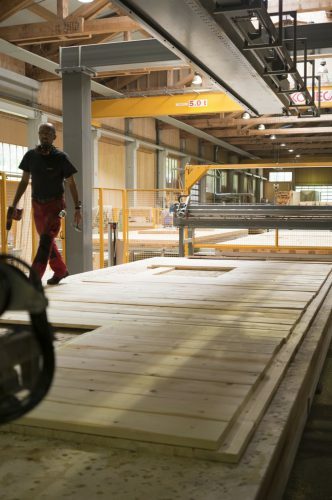 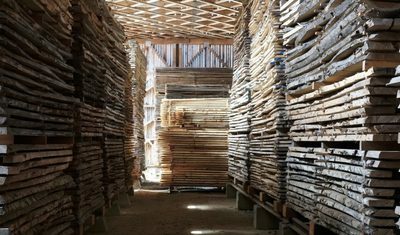 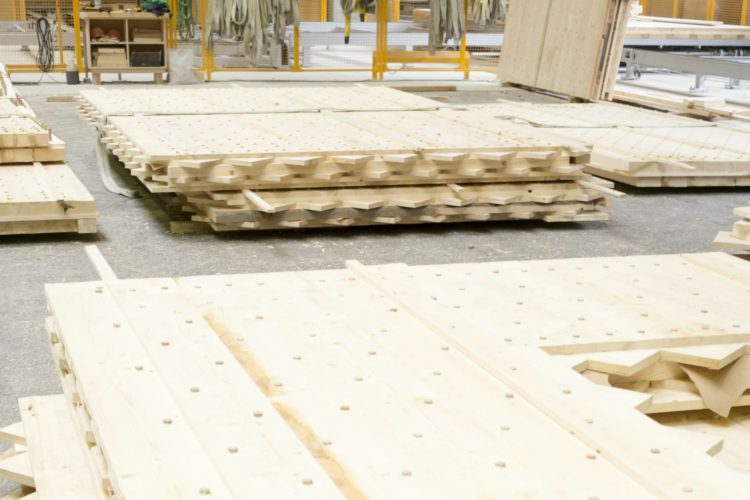 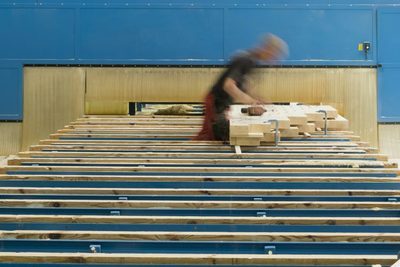 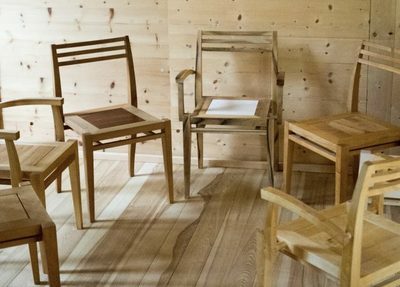 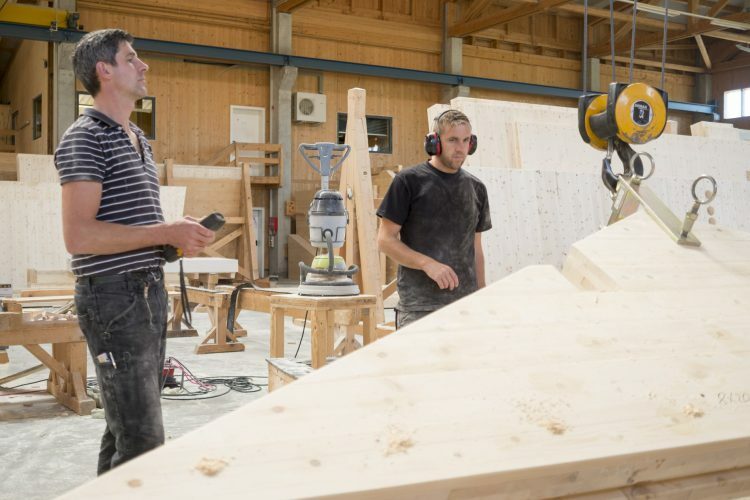 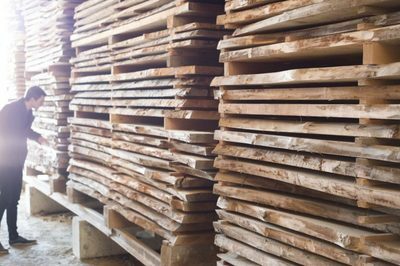 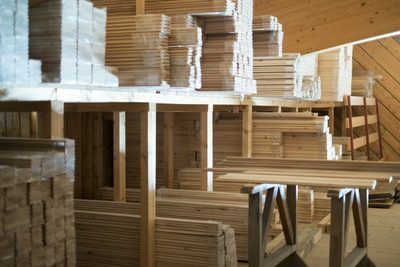 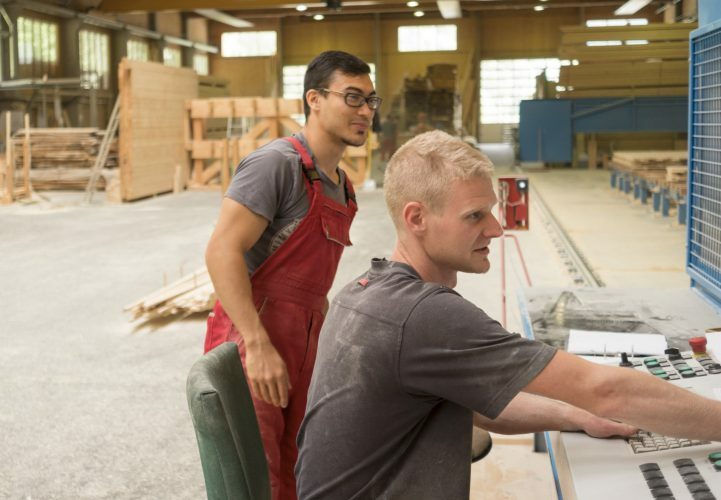 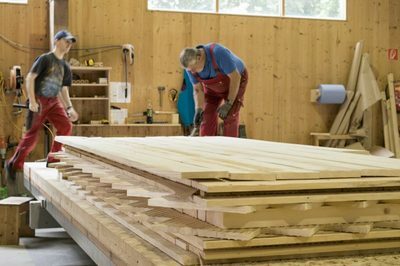 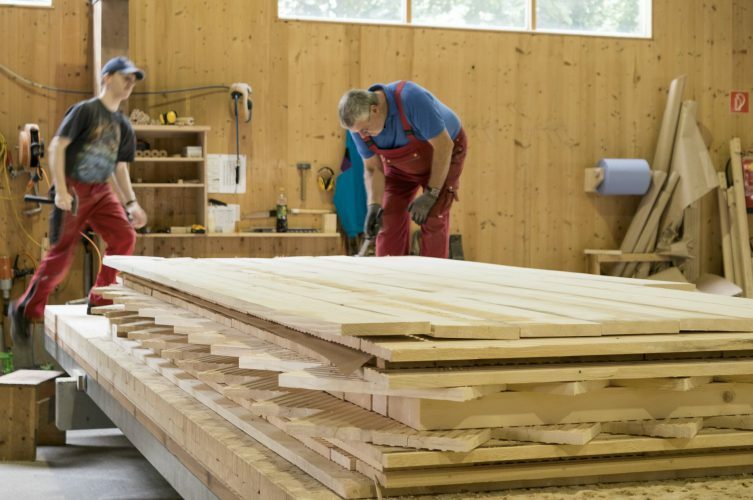 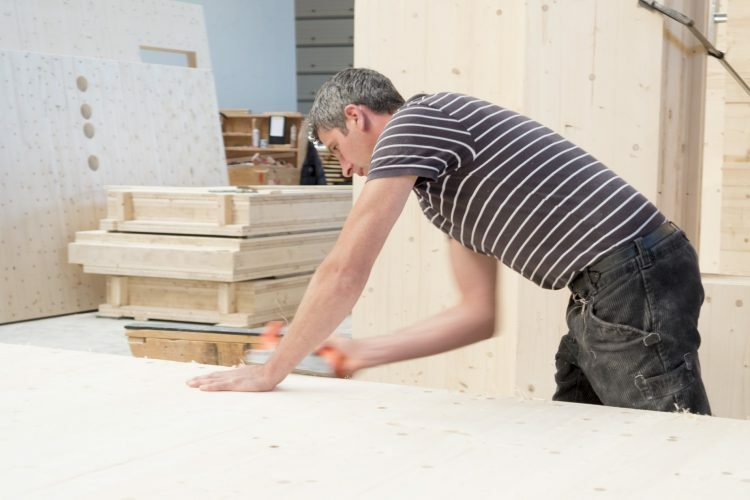 In our planing mill, the high-quality moon wood floors and formwork are manufactured, here our moon wood carpentry stores for special craftsmanship. 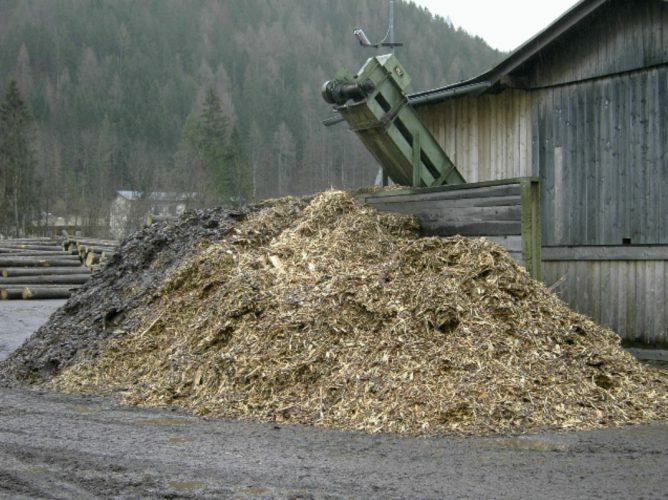 The Holz100 plant in Stadl an der Mur was already commissioned in 2000. 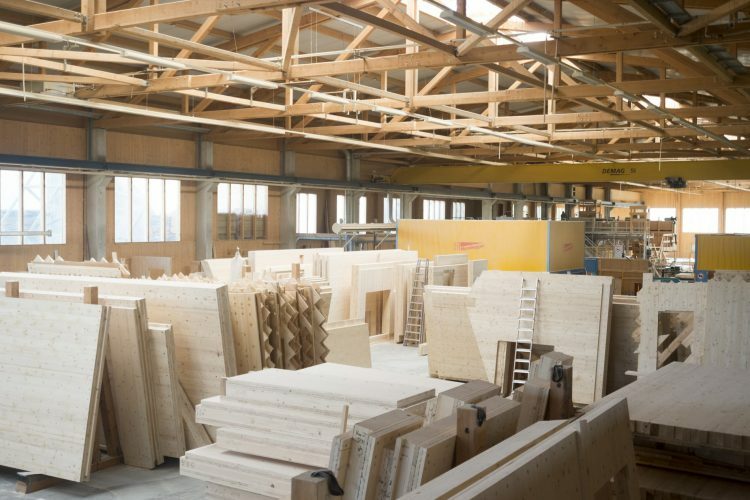 From here, mainly Austria, Italy and southern Germany are supplied with Holz100 components. The saw casting plant Gußwerk was built in 1907, after the ore mining in the community Gußwerk was shut down. 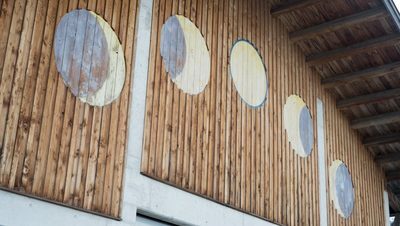 Today, Thoma operates the largest moon saw in Europe and supplies the Holz100 plants with wood of unique quality. 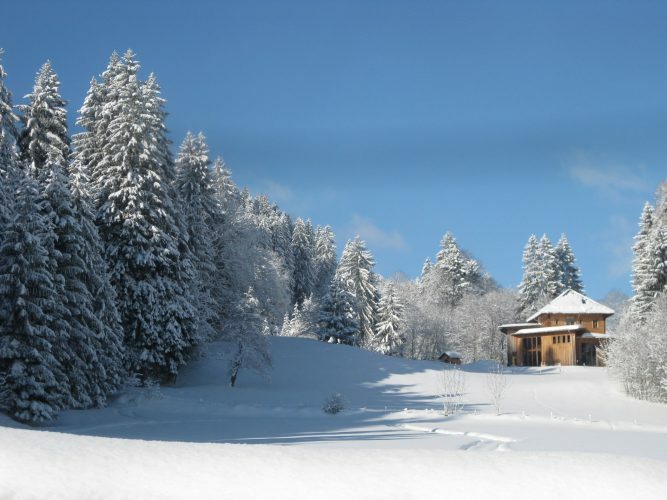 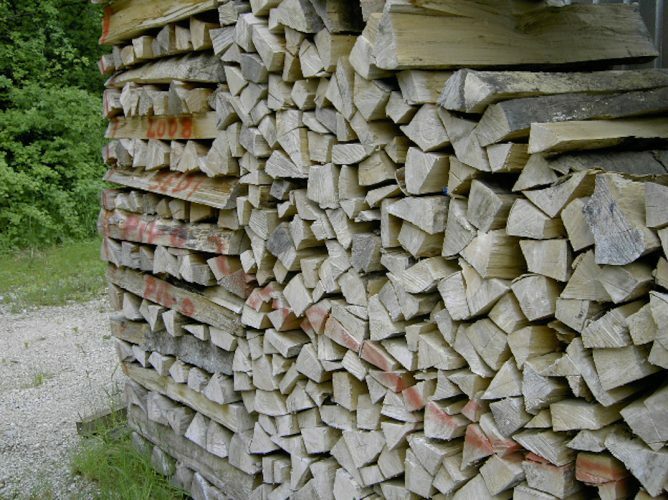 It mainly produces spruce and fir wood, harvesting logs during the winter months and as the moon wanes. 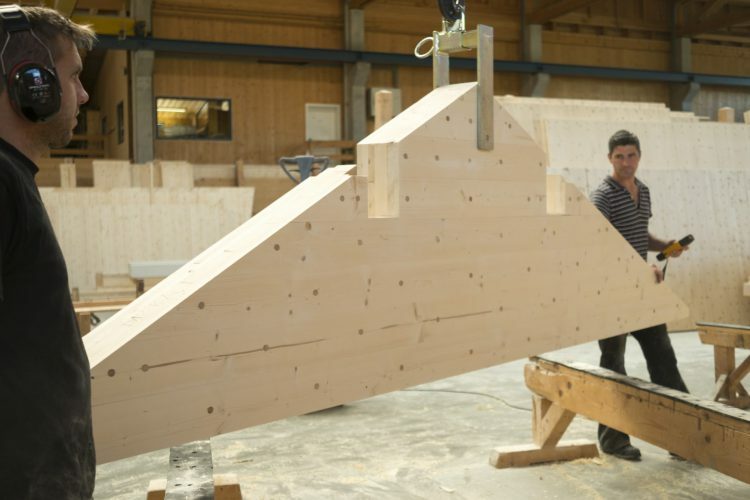 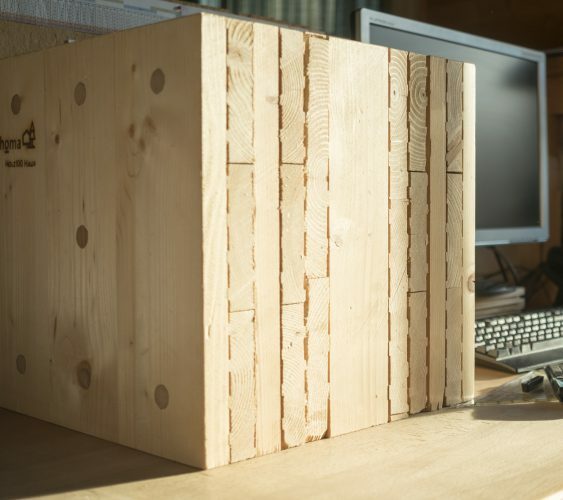 In addition, the saw Gußwerk has specialized in the production of beautiful larch clippings. 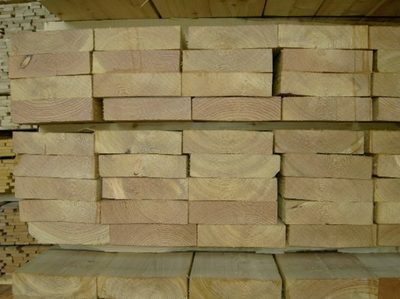 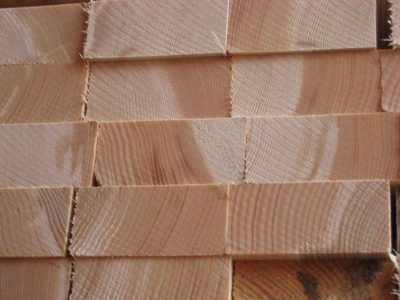 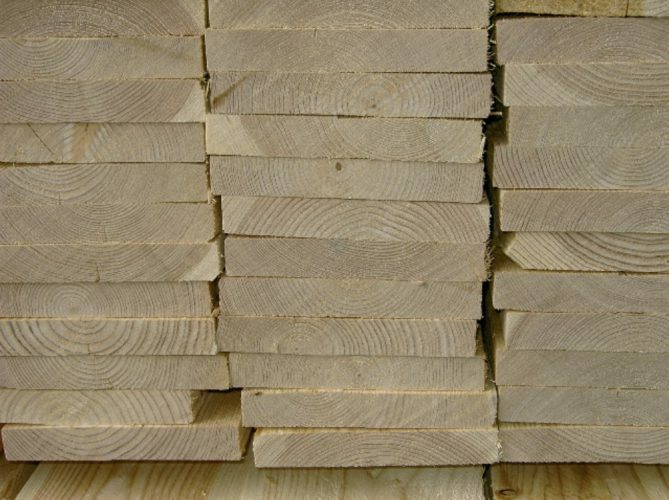 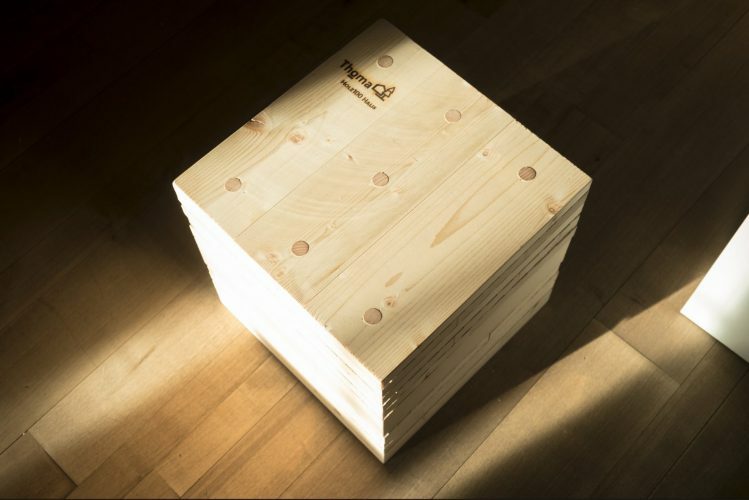 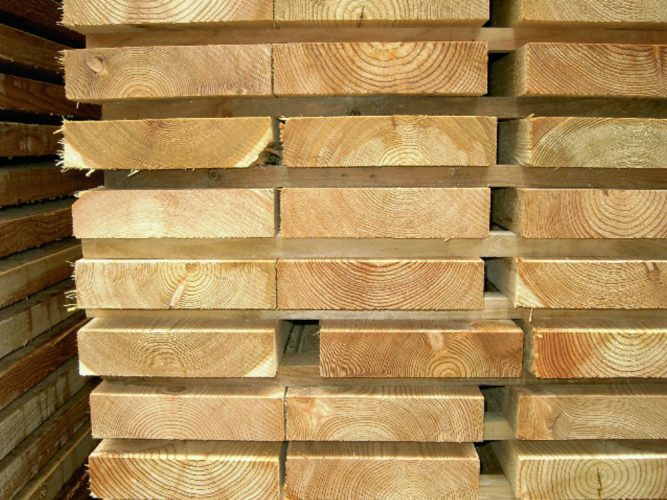 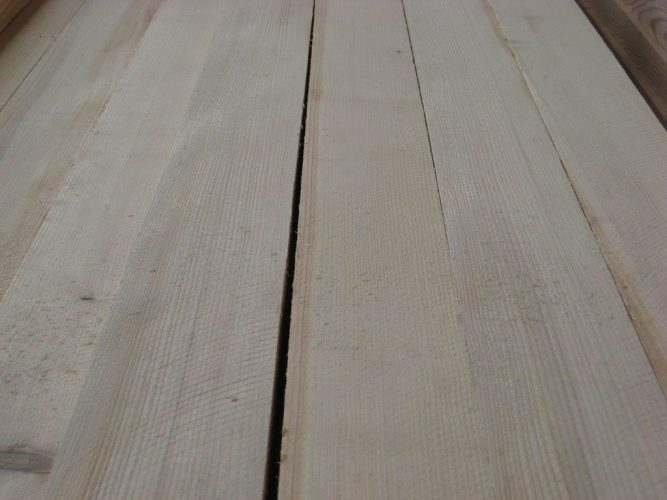 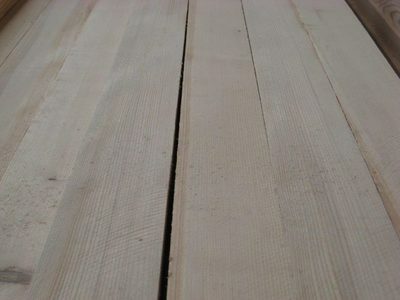 Only PEFC-certified roundwood is processed. 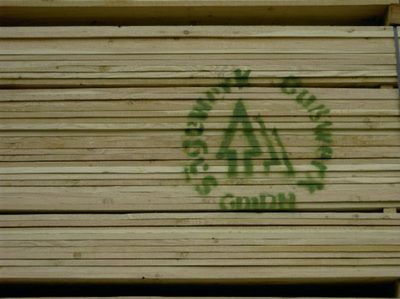 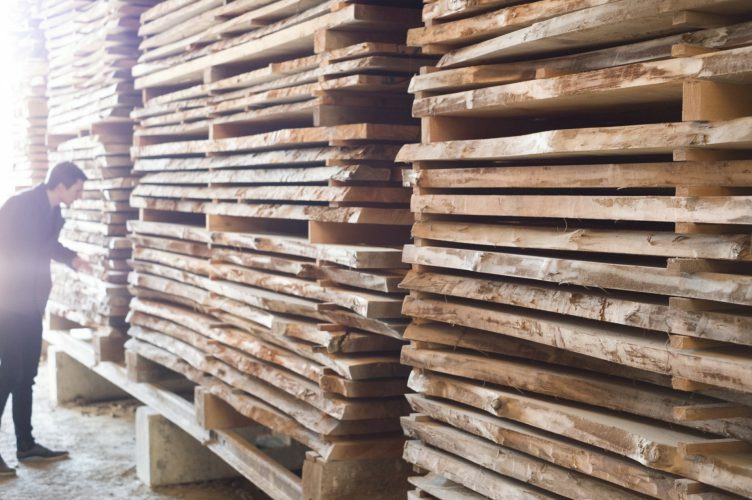 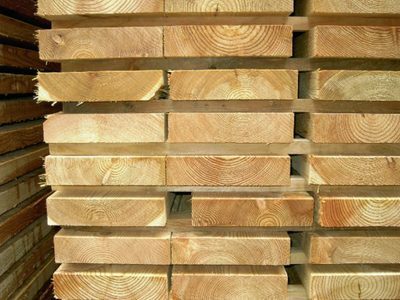 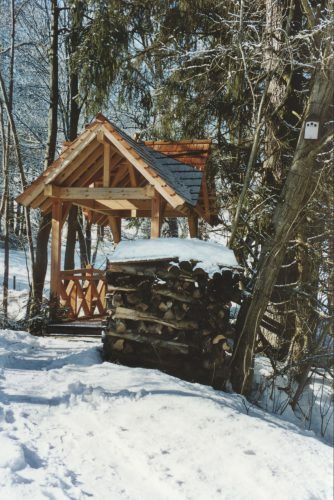 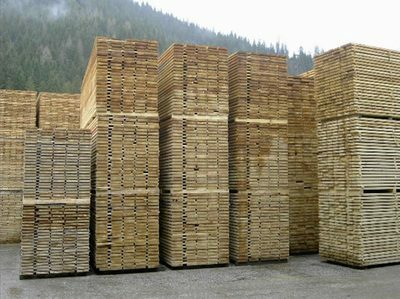 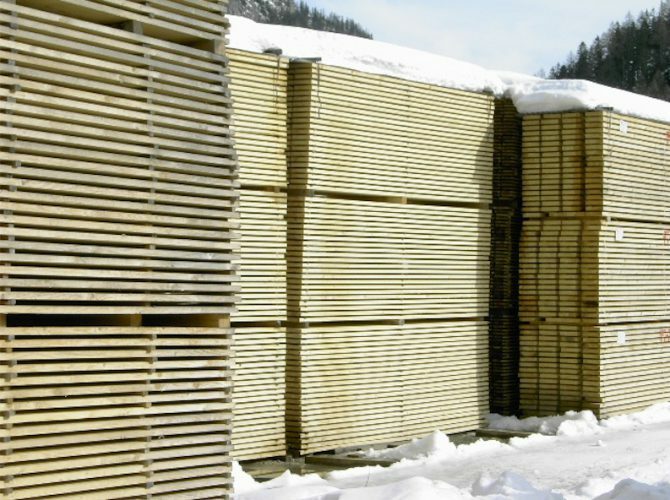 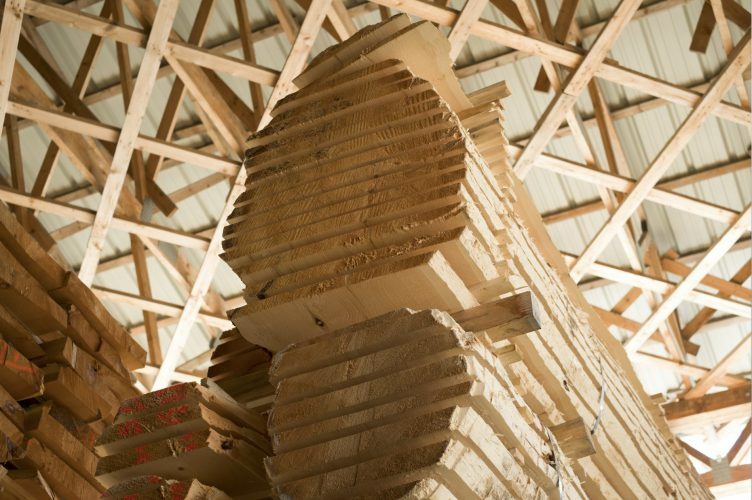 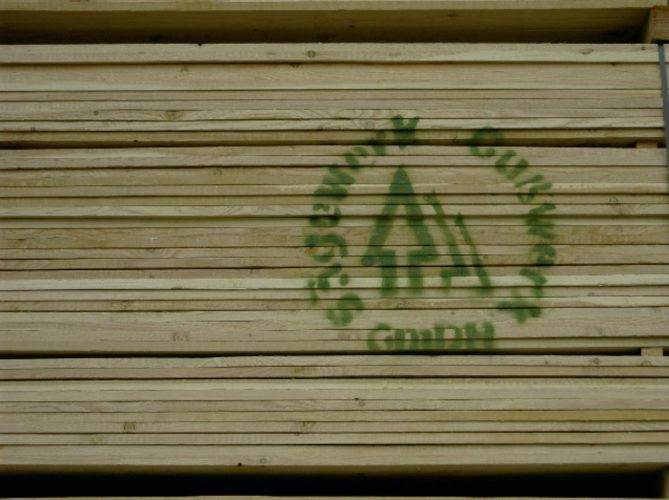 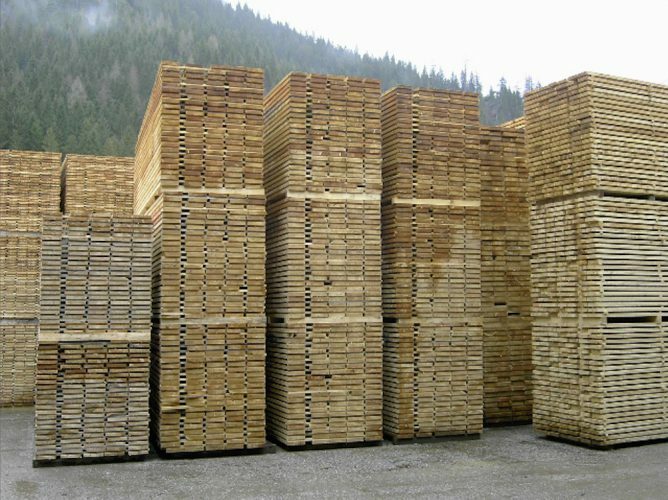 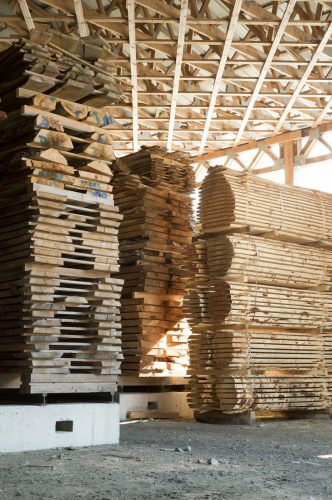 We offer chamber-dried lumber from fine-grained alpine softwoods from local PEFC certified forests. 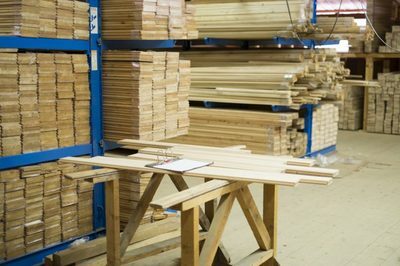 In addition to standard dimensions, we also offer special order-related strengths. 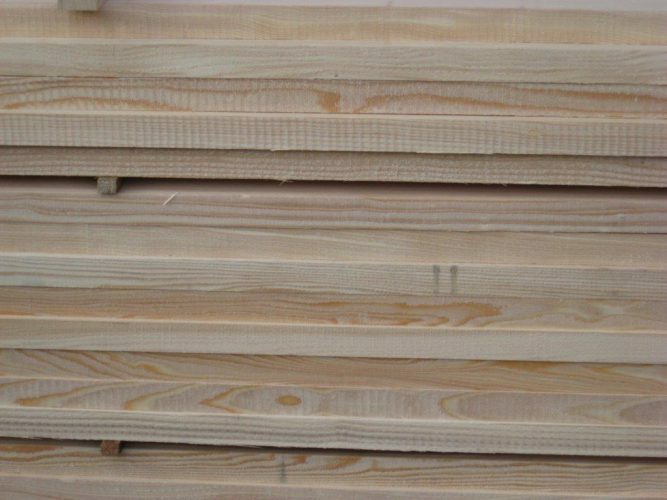 The carpentry is only produced from selected first and second trunks. For further use in paper production, landscaping or soft wood fiber boards, we offer a wide range of well sorted sawing by-products.